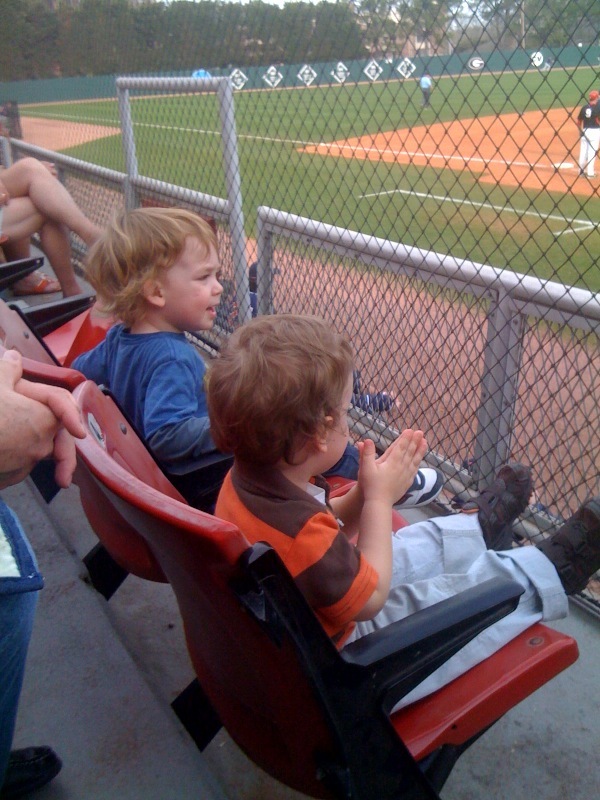 Bryson and Pop Pop took Nash and Xavier out to the UGA baseball game this week to cheer for the “puppies” as Xavier called them. (Bryson quickly had to teach him that they were in fact DAWGS, not puppies. At least he refrained from cheering for the Herd as he has been brainwashed to do up in WV.) They had a great time. When asked what the best part of the game was they both said, “the hotdogs”. Of course! Go Puppies! Um, I mean, DAWGS! Nash can hardly believe the Dawgs lost by one run. Just heartbreaking. We had a great time with Livvy and the kids. So glad they came! The house is quite now and I am on a mission to bring my home back to it’s fomer glory…this is going to take several hours of cleaning and reorganizing, but it was sooooo worth it to have such wonderful company last week! Hahaha!!! That last pic is especially hilarious! 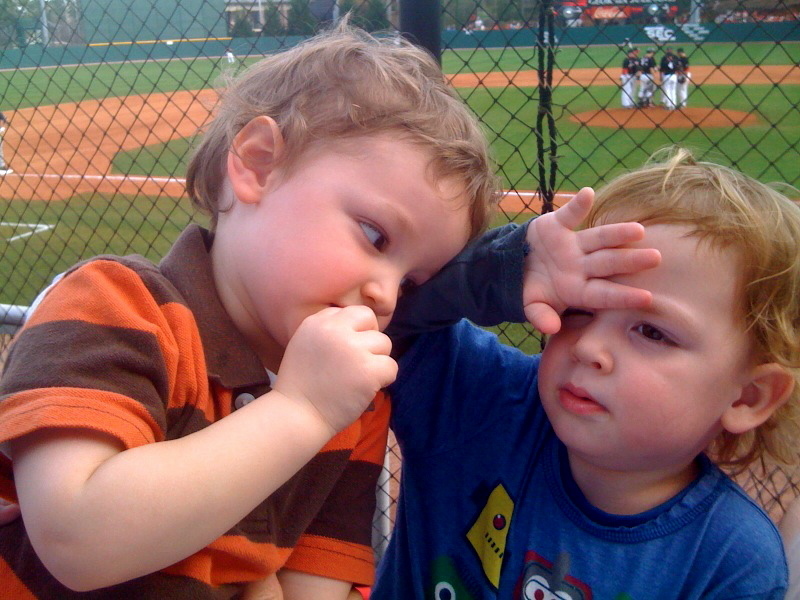 i love taking nash to the baseball games…so grateful to have that boy in my life!